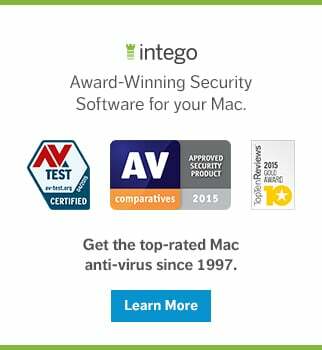 Most people assume that there's little, if any, Mac malware out there in the wild. Unfortunately, that notion is merely wishful thinking. Malware analysts—even those focused on Mac malware—process so many malware samples that not every new piece of malware necessarily gets its own dedicated article or press release. Such was the case with OSX/SearchPageInjector, Mac malware that Intego has been detecting since January 2018. OSX/SearchPageInjector recently came back on our radar after Thomas Reed wrote up a piece about it under the name OSX.SearchAwesome. Since it has been in the news recently, let's take a look at what this malware does and how to avoid it. 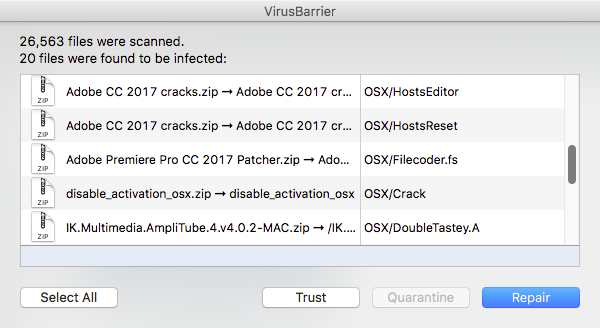 How Do Macs Get Infected With OSX/SearchPageInjector? This malware comes as a second-stage infection after a user downloads a supposedly "cracked" version of an app from a torrent. Apps downloaded from torrents often contain malware. Thus, to avoid this particular infection, users simply need to avoid the temptation to download illegal copies of software. How Can I Clean an Infected Mac? Intego VirusBarrier has been detecting and eradicating OSX/SearchPageInjector since January 2018. 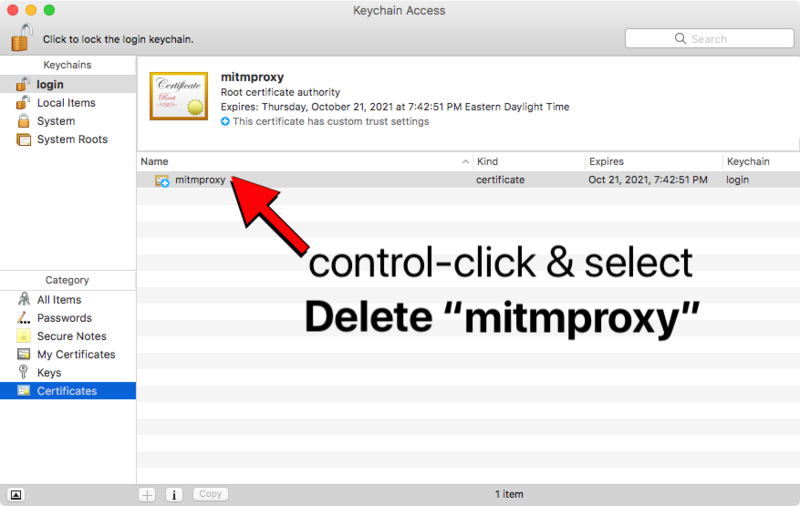 If the malware has been removed from your computer and you know you don't use the open-source software mitmproxy, then you'll also want to open the Keychain Access app (found in the /Applications/Utilities folder) and search for and delete the root certificate authority named mitmproxy. 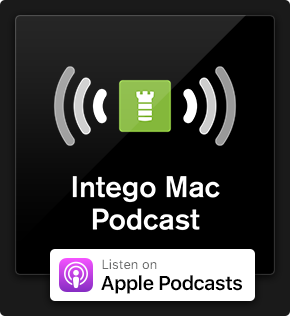 We briefly discussed OSX/SearchPageInjector on the November 2 edition of the Intego Mac Podcast; be sure to subscribe to make sure you don't miss future episodes! For additional technical details about OSX/SearchPageInjector, you can refer to Reed's write-up. This entry was posted in Malware and tagged malware, OSX/SearchPageInjector. Bookmark the permalink.